Brandon h ere. One of my favorite types of fish is one that is often overlooked because it lacks the cute appearance that so many other saltwater fish brandish. In fact, many people believe them to be one of the ugliest saltwater fish we import here at That Fish Place. The orange toadfish and freshwater lionfish are just two of many different species that belong to an order of very odd looking fish. All toadfish belong to the order Batrachoidiformes. This order is home to around 80 different species of toadfish, most of which are saltwater and brackish species. Toadfish are characterized by their scaleless bodies, extremely large mouths, powerful jaws, and drab color (with the exception of a few reef species). They get their name from the croaking sound they produce from their swim bladder to communicate with one another and attract mates. Caution should be taken when handling toadfish. Many species have spines that can inflict painful wounds, and in certain species the spines are connected to venom glands. Most species have very powerful jaws that, in a large individual, are even capable of breaking fingers! In the aquarium, most toadfish are extremely hardy, although they are shy and tend to hide. You can usually spot their faces poking out from under the rock work in your tank. They can persist for extended periods of time without eating, but will gorge themselves when food is available. Toadfish do well on a varied diet of frozen meats including shrimp, krill, squid, and fish. Their food should be enriched with a vitamin supplement such as Vitachem to ensure that they are receiving proper nutrition. Tank mates should be chosen carefully as toadfish will not hesitate to eat anything small enough to fit into their mouth, including each other. Several classmates and I have been successful at breeding the Oyster Toadfish (Opsanus tau) in captivity. In fact, they have been extremely easy to breed. We placed seven individuals into a very large tank, fed them well, and the fish did the rest of the work. A pair of toadfish would lay several dozen eggs on the roof and sides of a rock cave. One of the parents would remain and stand guard. The eggs were yellowish in color and about the size of a pea. After about a week the eggs would hatch and the fry would stay bonded to the rock. After a few more days the fry became free swimming and would go off in search of food. They will not take frozen food, so live brine and ghost shrimp would be a better offering. While breeding the oyster toadfishes’ tropical cousins may not be as easy, they are still an interesting fish to keep in the home aquarium. If you’re looking for a predator that is a little out of the ordinary, why not try a toadfish? I am wondering which plants are okay for betta fish. I will be doing many bowls and would like variety if possible. I wasn’t seeing anything specific on your plant info and I certainly don’t want to harm the fish! Plants are a great addition to any betta set-up, whether you choose plastic, silk, or live varieties. They let the fish feel safe and secure by providing cover with their roots or foliage. Bettas do not eat the plants, but some plants can be toxic. If you want to use a plant that comes out of the top of the bowl or vase, choose a Spathiphyllum sp., commonly known as a peace lily, “Lucky Bamboo” which is actually a Dracaena sp., or many types of vining philodendrons can work as well. You can find a wide variety of foliage shape and color in these plants. For example, there is a variegated from of peace lily called ‘Domino’, and several different philodendrons that should be safe and will root in the water. 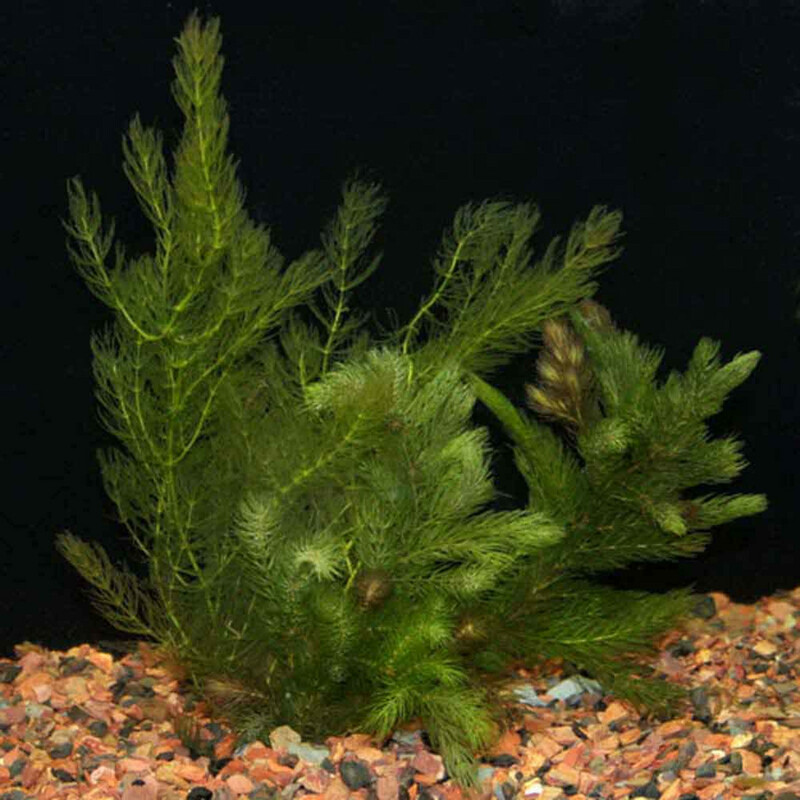 If you want plants that are submerged, try a strand of anacharis or hornwort, or a small cluster of riccia or Java moss. The main issue with keeping aquatic plants vibrant would be making sure that they have enough light. The plants I listed above should work in lower light conditions fairly well. A well lit room with lots of natural light coming in from windows would be sufficient. Just remember that you do not want to keep the betta bowls in the window because sunlight coming through the window can actually heat the bowl up if it is lit directly by the sunlight. Also, at night, the window tends to be one of the colder spots in the house. So the fluctuating temperatures would be bad for the fish. At this point, we’ve never tried such a hobbyist-centered event, and though many of us have been to swaps, we’ve never attempted one of our own. The folks from NCPARS though (North Central Pennsylvania Reef Aquarium Society), crank them out all the time, so they’re helping us. What intially was billed as just a frag swap, has since morphed into an extravaganza, as lots of vendors and top aquarium hobbyists have jumped on board to display products and give away stuff. Entry fee is $10 for non-NCPARS members, and $5 for members. 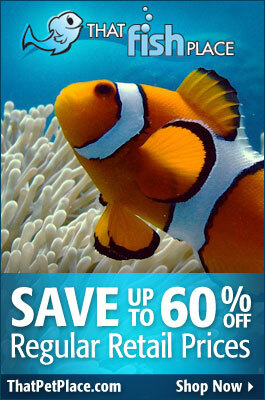 Entry fee also snags you a 20% off coupon for the store, as well as up to 25% off certain vendor products, including Marineland, Current-USA, Red Sea, Tetra, Instant Ocean, Aquatic Life, Brightwell Aquatics and others. Experts like Anthony Calfo and Steven Pro will be on hand to give seminars and demonstrate products. If you’re in the Lancaster, PA area, be sure to stop in. If you need directions, check out here. Check our further details here. If you have any other questions, be sure to post them and we’ll get back to you. The African fan shrimp is not well established in the aquarium trade, but interest is growing. I have maintained a group for approximately 2 years, and have found them to be fascinating, if a bit challenging in some respects. Their mode of feeding is particularly interesting, but requires a bit of attention as to “presentation”…I’ll write more about that in Part II of this article. This shrimp inhabits rocky streams along the west coast of Africa, from Senegal to Gabon. It is also recorded from the east coast of South America; however, the genus is not well studied and these populations may represent a different species. Their natural history is not well-documented. African fan shrimp are heavily-built and reach 4 inches in length. The first 2 appendages are equipped with feathery bristles which are swept back and forth when the animal is feeding. Most in the trade are tan to dark brown in color, but blue, yellow, pink and red specimens show up on occasion. A well-filtered 10 gallon aquarium will comfortably house 4-5 shrimp. They seem quite social; I have keep 12 in a 55 gallon aquarium. The tank should be well covered, in case they decide to explore by climbing filter tubes or heaters. I keep my fan shrimp at 76 F; their temperature range is reported to be 74-88F. African fan shrimp only leave favored retreats at night, and then infrequently. A Night Glo bulb or similar bulb will allow you to view their nocturnal activities. A rock or gravel substrate is preferable, as such is what would be found in their native habitat. However, people keeping these shrimp on sand report no problems. They do not negotiate bare-bottomed tanks well, and seemed stressed by the effort. African fan shrimp are very shy and retiring, and require suitable shelters if they are to thrive. Mine seem quite specific in their choice of a retreat – once they settle in, they remain within the same cave or shelter, even if others are available. I have observed several shrimp to occupy the same small caves for 18 months. They will utilize rock caves or artificial structures and ornaments. Despite their need for privacy, the shrimp seem unconcerned about being on view through glass…caves positioned near the aquarium’s glass will allow easy observations. They prefer a “tight fit” over a spacious cave, and many will remain within one shelter, usually in physical contact with one another, if able. I’m not sure if they prefer to live in groups (field studies are in short supply) or not, but they certainly do well when provided with a cave that allows them to congregate. Hailing as they do from fast-flowing streams, fan shrimp likely have high oxygen requirements, so be sure that your tank is adequately aerated. They should be maintained at a pH of 6.5-7.4. I use soft water, but this is not based on field research (in fact, water in rocky streams tends to be hard). Like many invertebrates, fan shrimp are extremely sensitive to ammonia, and to copper and other chemicals that are found in fish medications. I’ll finish up with feeding and pass along a few observations next week. We have much to learn about these and other fresh water shrimp… please write in with your questions and observations. Thanks, Frank Indiviglio.